August, 1889 finds the great inventor in need of rest and respite from: the stress of opening a massive new laboratory (1887-West Orange); the great growing pains of the new electrical industry; many business matters needing attention; exciting new areas for exploitation; recovery from a lab accident and burns; and a “double-super-secret” project underway in Room 5 in the invention factory. 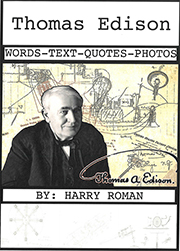 Edison is tired and finally listens to his wife to take some time off–a long holiday and a tour of Europe, starting with attending the Universal Exposition in Paris and later visiting Germany and London. With his very young and lovely wife Mina at his side, and herself sporting a magnificent new $3,000+ gown, the Edison’s are the toast of the great city, with many dinners in his honor, awards bestowed upon his now graying mantle, and many well-wishers and dignitaries anxious to meet the great inventor. Edison, never one to enjoy formal dinners, weathers the storm with much support from his captivating and socially adroit wife. His display of electrical products bedecked in red, white and blue lights illuminates a full acre of exposition space; and features a complete central lighting station. 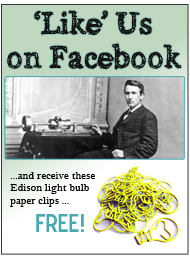 Much to the delight of 30,000 visitors, Edison phonographs are a big hit as well. 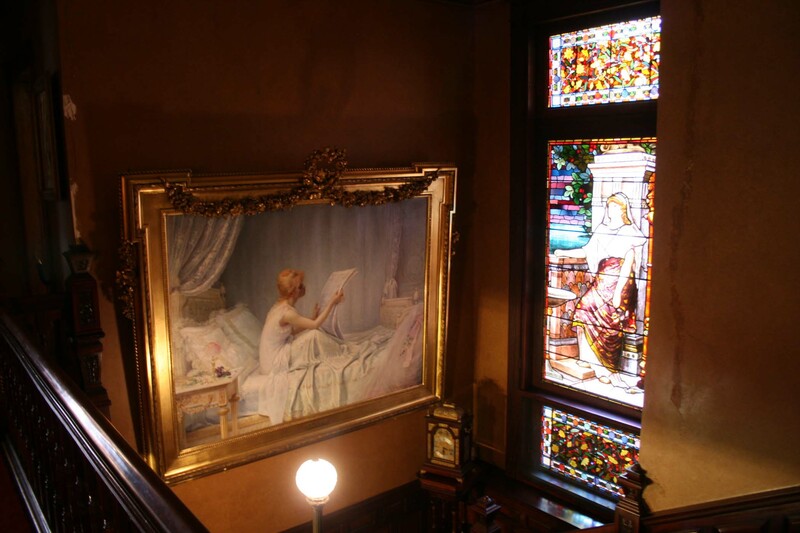 This large painting by Abraham Archibald Anderson was obtained in Paris, and now hangs in the grand staircase of the Edison Glenmont mansion. Mr. Anderson served as a friend and interpreter for Mr. Edison while in Paris. A tour of the new Eiffel Tower was a special highlight for the Edison family, as a special guest of Alexandre Gustave Eiffel, the designer and tower engineer. Coincident with Edison in Paris, famous American wild-west entertainers Colonel William F. Cody and Buffalo Bill happened to be visiting the great city, adding to the jubilant air of the late summer weather. 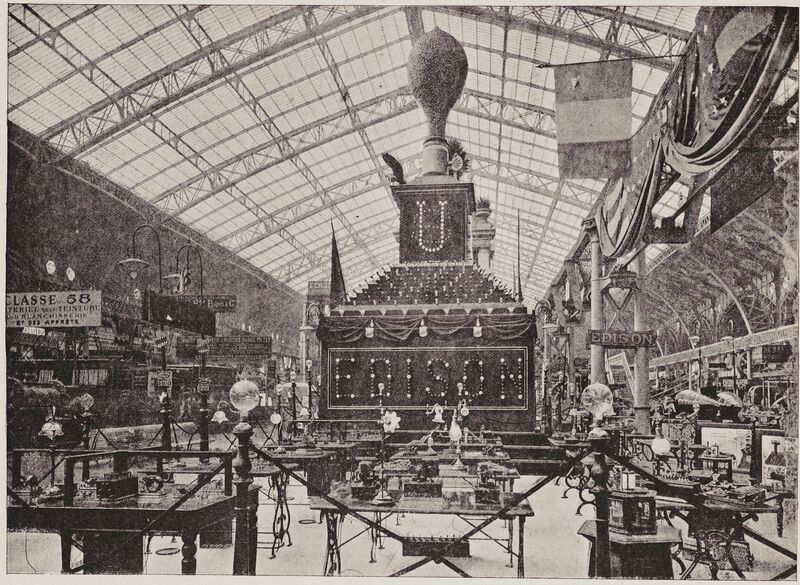 Edison also found time to visit The Louvre (not to his general liking) and Louis Pasteur at the famous Pasteur Institute, fully appreciating the new “germ theory” advanced. A firm acolyte of basic research, Pasteur nevertheless took delight at how Edison made practical and important advances from basic science. 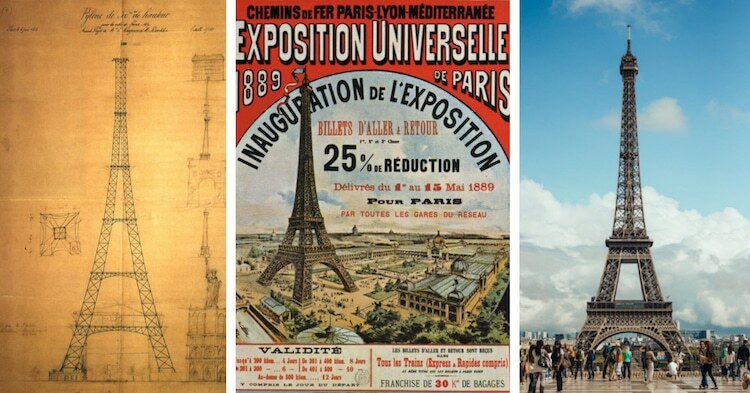 The Eiffel Tower-built in 1889-an original sketch, an advertisement for the exposition, and photo today. On to Berlin to meet with the famous scientist Hermann von Helmholtz, industrialist Werner von Siemens, and others, with time allotted to attend a scientific conference then in session. In London, Edison visits the landmark Edison central station at Holborn, using direct current generators delivering 110 volts of load serving voltage. Bittersweet this was, as it was apparent in London that other notable electrical designers were making rapid advances in AC power. Arriving home in early October, a relaxed Thomas Edison is delighted to learn of the progress of the super-secret experiments conducted by trusted associates John Batchelor and W. K. L. Dickson, with a new, strange-looking building constructed on the eastern side of the West Orange complex. 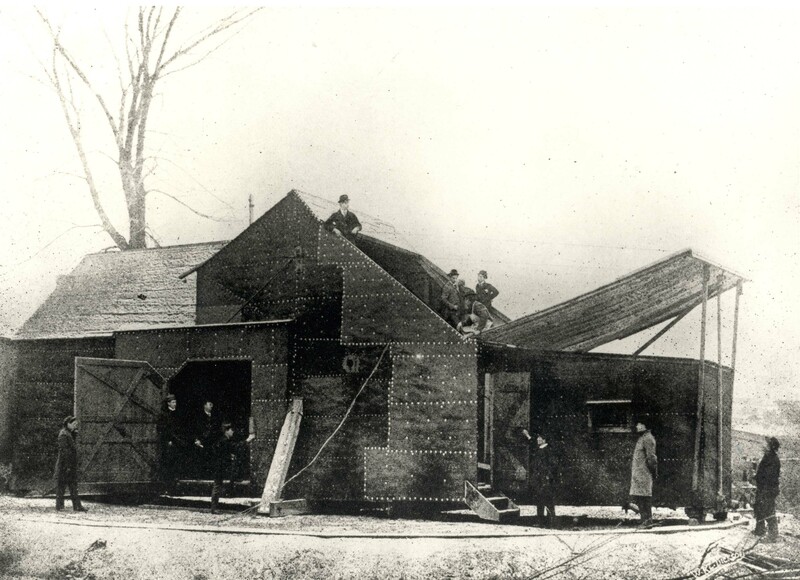 That strange-looking building that greeted Edison upon his return from Paris—the original Black Maria, the world’s first motion picture studio. There in the demonstration space was what appeared to be an optical lantern of sorts connected to a phonograph, and aimed at a projection screen. A flickering hand-cranked image of Dickson appeared, which eerily uttered “Good morning, Mr. Edison, glad to see you back”. This was the first operable motion picture camera…not just silent pictures, but with sound. Such sensational media would not be witnessed regularly in movie theaters until the late 1920s, but Edison and his team had shown it possible decades earlier. 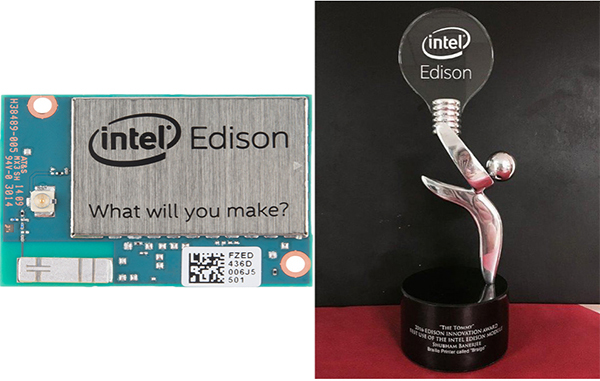 Welcome back indeed Mr. Edison! 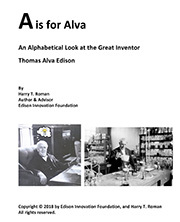 This entry was posted in All About Tom on September 17, 2018 by Edison Innovation Foundation.